In Roman times many villas were built by emperors and wealthy aristocrats along the coastline of the Campania felix: from the Sorrento peninsula to Paestum, including the Amalfi Coast and Capri. They were the so called "villae maritimae", accessible only by the sea, place of otium and exclusive retreat for the most important exponents of the Roman policy and aristocracy. During the works in both Piazza Flavio Gioia and the crypt of the Church dedicated to Santa Maria Assunta in Positano, have been brought to light the walls and the collapsed roofs of a maritime villa (dating back from the I century BC and the I century AD), damaged before by the earthquake of 62AD and, then, swamped by ash and pumice of the Vesuvius eruption in 79AD. 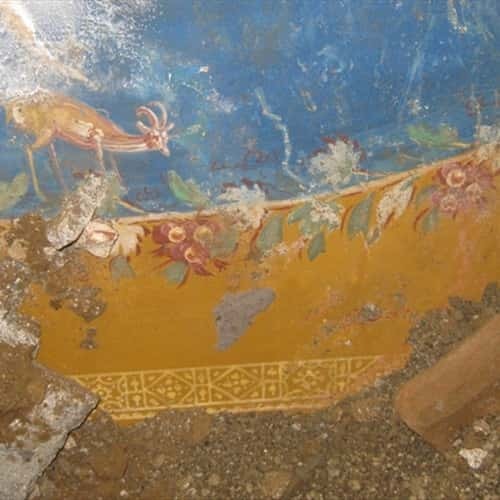 Part of the villa as well as of the sculptural decoration were already discovered in the XVII century and, later, in the second half of the XVIII century by Carlo Weber, the Swiss architect who followed the excavations at Pompeii, Herculaneum and Stabiae by order of Charles of Bourbon. In the twenties of the ‘900 a local butcher, during the works in his shop near the church, brought to life other portions of the villa. 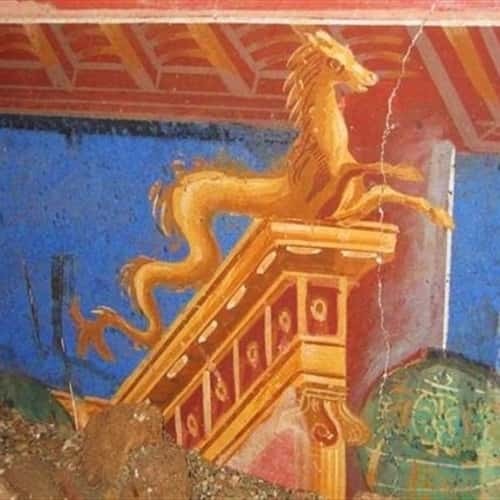 As happened in Pompeii, Herculaneum and Stabiae, the eruptive materials allowed a perfect preservation of the porches, peristyle, various rooms, frescoes and stucco. 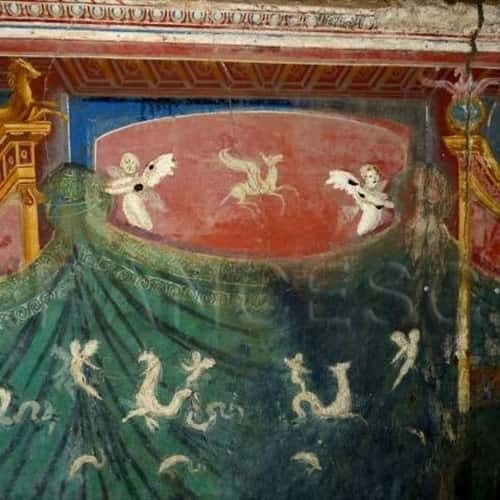 In particular we can see a wall in opus reticulatum, decorated by a stucco frame and beautiful polychrome frescoes in Pompeian style, depicting a seahorse, an eagle, a Pegasus and two cupids. The depictions are framed by fine architectural backgrounds as a coffered ceiling and a classical architrave. According to Della Corte's opinion the Roman villa in Positano belonged to the gladiator Posides Claudi Caesaris libertus (a freedman to whom the emperor Claudius donated the pure lance, as a reward for the conquests against the Britons. If this theory was true, the name of Positano could derive from Posides, as the villa would be considered the "praedium posidetanum" (Posides's property).